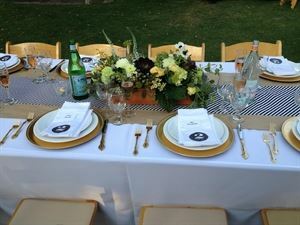 Southern California caterers are many, but Simply Elegant Catering stands above the rest. We are a premier food and event service company making your event occasion – wedding, corporate, holiday, or more informal BBQ gathering a success. We have over 30 years of experience in this business and continue to serve brides and businesses from Pasadena to Los Angeles, San Bernardino to San Diego.